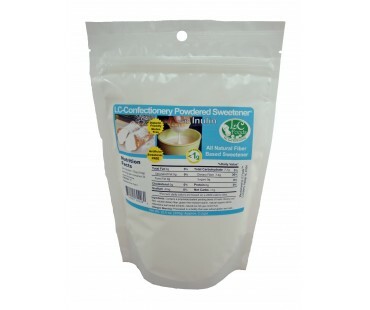 Low Carb Confectionery Powdered Sweetener - Inulin has only .3 net carbs per tablespoon! 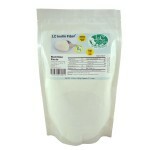 Tastes so great you won't believe its low carb! No sugar Aacohols. 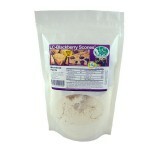 Contains stevia and luo han guo monk fruit with Inulin chicory root fiber as the base. 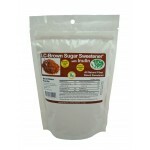 Our Low Carb Confectionery Powdered Sweetener - Inulin can be used as a low carb sugar substitute 1 for 1 in all of your favorite recipes. 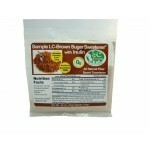 Use the recipes on the back of the package to make a basic low carb glaze or a richer low carb glaze. Try adding in Dutch cocoa powder or peanut butter for a low carb chocolate or peanut butter glaze. How about adding both together? Yummy! Drizzle it over our low carb cinnamon buns, scones, cakes, cupcakes, biscuits or cookies!